A joint filter offers a lot of benefits with no drawbacks. Basic ones are also super easy to make, so there is no excuse not to! Check out what makes them worthwhile, as well as a few ways to make them, here. While joint filters are more of a preference than a necessity, there are plenty of benefits to using them. Not only does a joint filter provide better airflow, but it also helps keep your joint together. And you're not just limited to one type of filter, either. 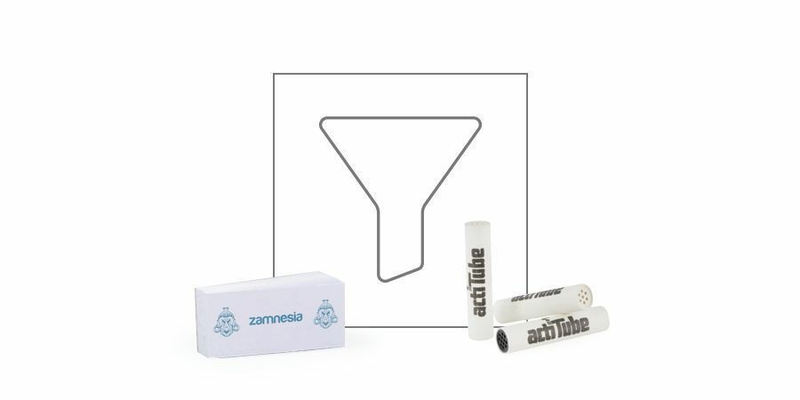 There are all sorts of different kinds of filter tips, some you can buy and some you can roll right from home. 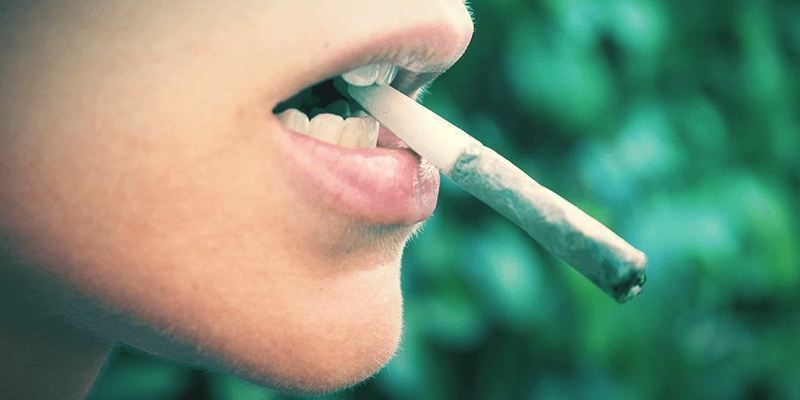 If you're new to the wonderful world of joint filters, then read on for more information about why you should use them to enhance your smoking experience and learn some of the best rolling practices. WHY USE A JOINT FILTER? Don't you hate when you're trying to finish off your joint, but it just ends up crumbling towards the end? If so, a joint filter can solve that problem. By using a joint filter tip, it can help give your joint more stability. A joint filter is also useful when you're having a smoke session with your friends. A plain joint can get pretty nasty at the bottom, especially if one of your pals enjoys leaving slobber all over it. But when you use a filter, it makes things less messy. To point out another benefit of the joint filter, it also helps keep a consistent airflow. In other words, you won't have to do too much sucking to get nice hits. From time to time, a tightly rolled joint can be impossible to smoke. But with the help of a joint filter and its holes on both ends, you'll get the maximum amount of airflow every time. Last, but certainly not least, the joint filter allows you to smoke all of your weed without being wasteful. Typically, when you smoke a joint, you wind up always wasting the last little bit to avoid burning your fingers off. Since you spend hard-earned money on your product, you should be able to smoke until there's absolutely nothing left. By using a joint filter, the days of figuring out what to do with the roach will be long gone. There's always the option of buying a joint filter from a shop or online. But if you want to save money, then you can do so by making your own. Luckily, there are quite a few things that can be used as a joint filter, and you probably have a lot of these items lying around the house. First, there's cardboard, one of the more traditional choices. As long as it fits the end of your joint, anything made of cardboard should do just fine. Second, is fusilli, those spirally little noodles that you can find at practically any grocery store. The beauty of this choice is that no preparation is required. All you have to do is break off a piece that's a suitable size for your joint. The thinner the noodle, the better. Finally, there's the index card. While you do have to roll this one, they are super cheap and don't require much effort to prepare. Not only are there several different types of joint filters, but there's also plenty of ways to roll them. From the heart to the cannabis leaf, the possibilities are endless. Not to mention, creative. If you prefer to keep it simple, then the standard tip is your best bet. All you need to do is grab your filter of choice and fold it into an accordion at the end. Then, take the end, fold it over, and start rolling it between your fingers to form a cylinder. There should be a "W" in the circle once you're finished. The heart is a great option if you want to be creative. Obviously, it's slightly more challenging to roll that the normal tip, but it's worth it. To begin, grab your filter of choice and fold back a small amount of the end. Then, use your tool to roll the filter paper around slightly on either side of the fold to form the top of the heart. Once you've done that, fold both ends down and form the heart shape. Finally, roll the filter around the heart and proceed to roll your joint. You'll need some scissors and a steady set of hands for this one. But the result is totally badass. First, create your accordion as you normally would with a standard joint filter tip. At the halfway point, fold the accordion end under, and you'll notice it forming a star. If need be, fold it back into accordion form so that it creates a tighter shape when you fold it back into a star. Switching back to the accordion, leave one part unfolded and then cut it off. Once you do that and fold it back into a star, you'll notice a better shape. To finish, grab another filter and roll it over the star. In case you happen to love Mercedes, there's the Mercedes joint filter, which is actually pretty easy to roll. To begin, take your filter and proceed to make an accordion. At about four folds through, start forming the Mercedes shape, which is similar to an upside-down "Y." Then, all that's left to do is roll the remaining filter over the Mercedes symbol. Easy as pie, right? In less than three minutes, you can roll your very own girelle joint filter. To get started, grab one end of the filter and roll it over just a bit. Then, begin unrolling and rolling the end between your fingers. As you're doing this, apply more pressure closer to the end so that it starts to form a girelle-like shape. While rolling, press down on every so often to tighten up the circle. Once you've got a decent-looking girelle, unfold the entire thing and proceed to roll it up again. Then, unfold yet again, roll the very end just a bit, flip it upside down, roll it forward slightly, and bring it up and fold it backward. At this point, you should be rolling over rather than under until you reach the opposite end. Once you're there, you're all finished. The cannabis leaf joint filter is probably the most challenging thing to roll. For this particular style, you'll need a ca. 3cm by ca. 10 cm sized filter. About a third of the way, you'll need to form an accordion, only with this one, you'll need to fold the middle over more. That way, when you unroll the filter, it resembles the top of the cannabis leaf. Once you achieve that shape, use a pair of scissors to cut off a bit of the end of the first fold, making it smaller in width than the rest. Then, take the opposite end and roll it under rather than over, leaving a little space between it and the accordion end. Unroll it again, only slightly, then start rolling it more tightly. 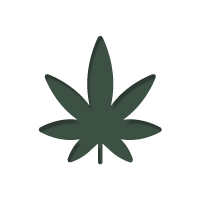 The top of the cannabis leaf should be facing the opposite direct as your roll. One you have some space between the roll and the leaf, begin rolling around it until the filter is complete. There you go! A few ways to get creative with your filter and enjoy the benefits they offer at the same time. Enjoy! A firm believer that cannabis can be a benefit to society, Brittney has enjoyed its subtleties for a long time. This love is reflected in her writing, which aims to inform, educate, and bring people together over a love of cannabis.